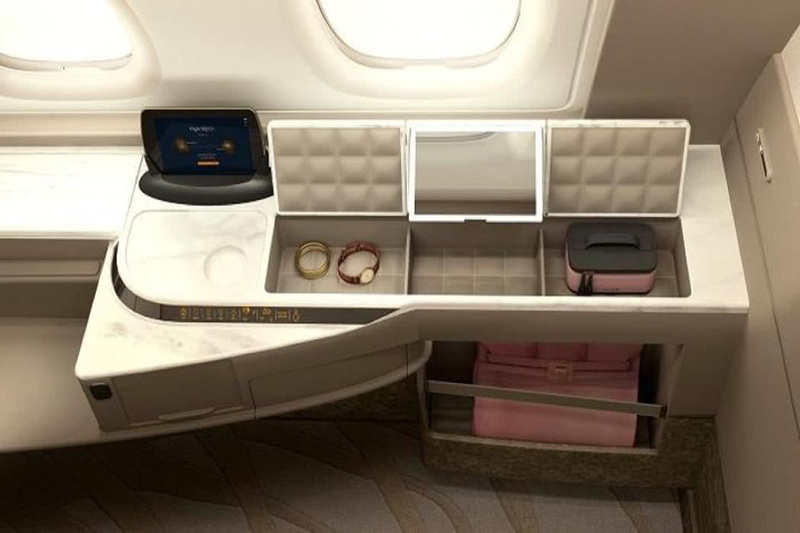 Singapore Airlines is introducing fantastic new First Class for their Airbus A380s. They have 5 new planes which are being delivered over the next year and these new planes will feature the new first suites and new business class that offers double beds for passengers travelling together. Singapore’s remaining 14 A380s will be receiving the new cabin set-up between now and 2020. 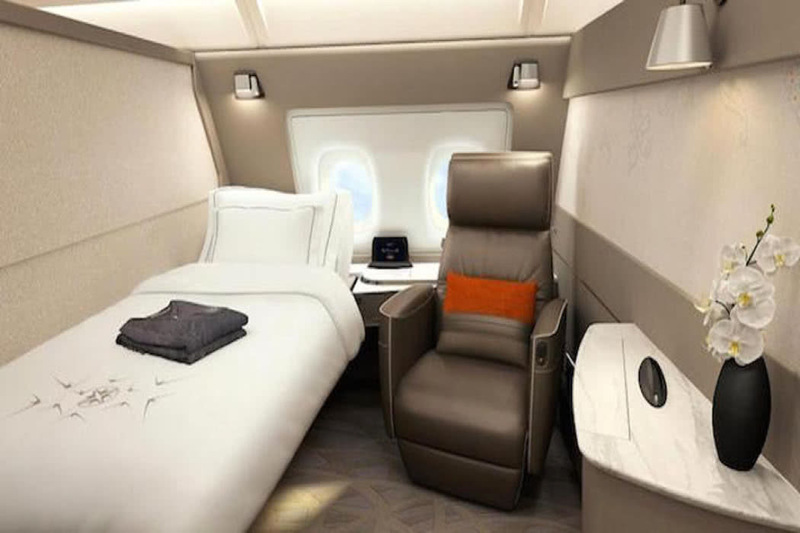 The new Singapore Airlines A380 will be configured with 471 seats in four classes, featuring six Singapore Airlines First Suites and 78 Business Class seats on the upper deck, as well as 44 Premium Economy Class seats and 343 Economy Class seats on the main deck. The research, design, development and installation of the new products on 19 Singapore Airlines A380s represents an investment of about USD850 million. How Are The Singapore Airlines Suites? 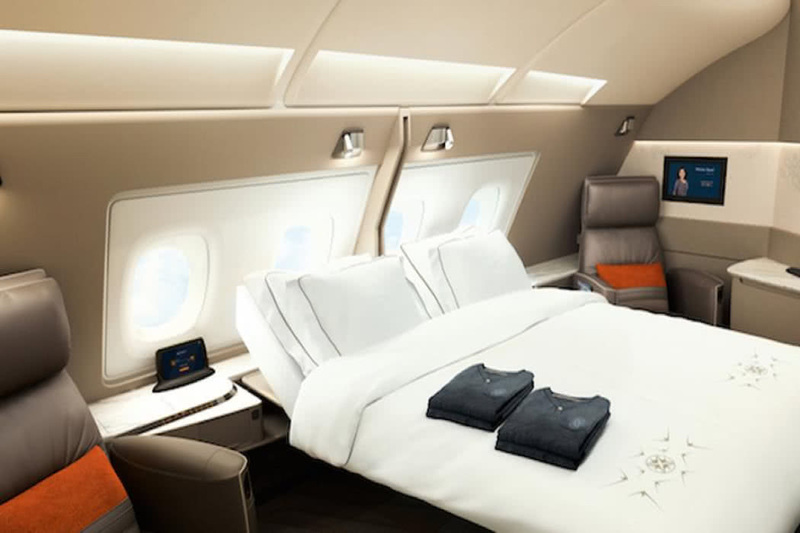 With six Suites tucked spaciously within the front cabin of the upper deck, customers will experience a sense of exclusivity and intimate privacy aboard the A380. Behind its artistically-designed sliding door lies a personal oasis complete with lavish furnishing and finishes. Each Suite is furnished with a separate full-flat bed with adjustable recline and plush leather chair, enabling customers to lounge comfortably in the chair or rest in bed without the need to convert the bed from a sitting position. For couples travelling together, the beds in the first two Suites of each aisle can be converted to form a double bed. When not in use, the bed can be stowed completely, creating even more personal space within each Suite. Each seat is upholstered by world-renowned Poltrona Frau in fine leather, and is fully adjustable using an electronic control side panel which can accommodate a variety of sitting and lounging positions. The swivel capability of the chair (between 135 and 270 degrees) with recline up to 45 degrees provides added flexibility for dining and relaxation. Each Suite also has a 32-inch full HD monitor that can swivel for the different viewing angles in seat and bed modes, a full-sized personal wardrobe, customised handbag stowage compartment, amenity box lined with soft leather, specially designed carpet and a feature wall with mood lighting – all exquisitely crafted to give a touch of luxury and intimacy. 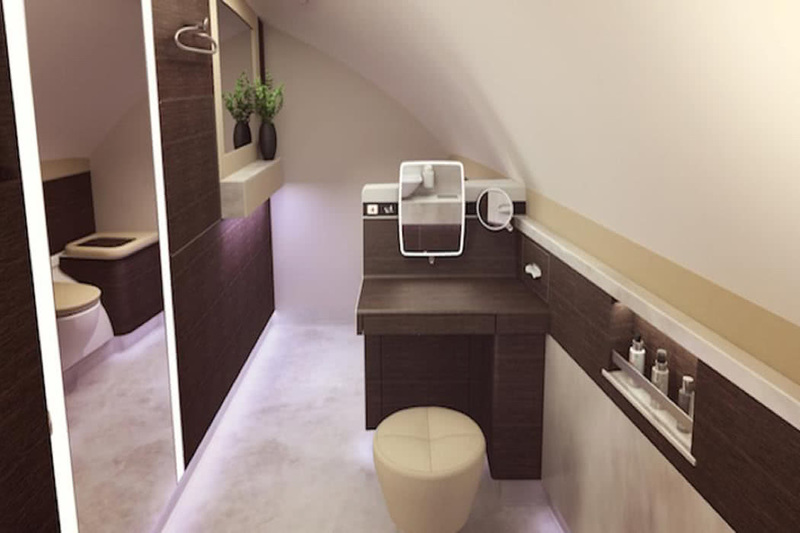 The exclusivity of the Suites cabin is further accentuated by its two stylishly-furnished lavatories, one of which has a sit-down vanity counter. The new Suites were designed by Pierrejean Design Studio and manufactured by Zodiac Seats UK. Can I Book The New Suites On Airline Award Points? 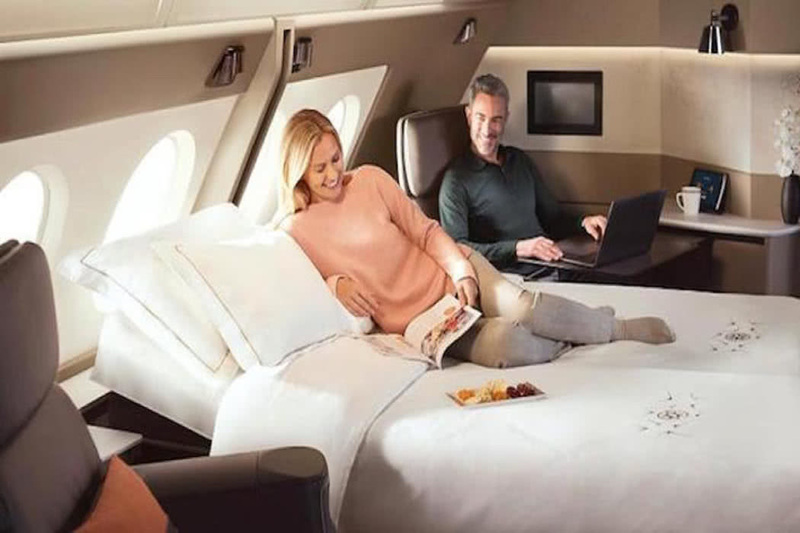 The number of Singapore Airlines First Class Suites will be reduced from 12 to 6 which will make it even less likely that you will be able to snag one of these suites on reward points, and at least for now, there will nbe no saver award seats available. That said, if you are lucky enough to book this suite, you are in for a treat. How much will these new First Class Suites cost in miles? A Singapore “standard” award will cost 130,000 miles one way for Singapore to Sydney. For Europe to Singapore you are looking at a mile-cost of 210,000. For New York JFK to Singapore the mile cost will be 225,000. There will, apparently, eventually be a limited number of saver awards available for the product using KrisFlyer miles. Make sure that it is Singapore’s A380 flying your route or you are unlikely to experience the new product. You can also read my current First Class flight reviews and Business Class flight reviews on Singapore Airlines to find out what it is currently like to fly with them in these classes.